Spread throughout the year, there are volunteering opportunities for everyone including one-off events as well as weekly sessions. 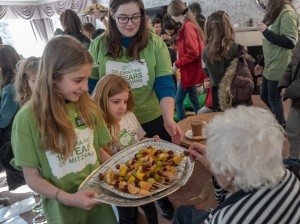 Kol Chai has been supporting the Foodbank since it was launched in 2013. We help in various ways at the office and the collecting depot in Harrow; also at the distribution centre at Holy Trinity Church, Wealdstone. We collect non-perishable food, toiletries and nappies, new packets of underwear for adults and children – and deliver them to homeless people and destitute asylum seekers and refugees. Any fruit and vegetables that survive a week in our Succah are taken to a shelter for the homeless. Every November, Kol Chai volunteers help with the collection of over 20,000 coats for homeless, elderly and refugee charities at London Underground stations. Each year, the Harrow charity Firm Foundation provides accommodation and support for homeless people for three winter months. Kol Chai volunteers attend to provide company and also collect new packs of underwear for the guests staying overnight. Volunteers always needed for a variety of projects. Why not join a bunch of KC volunteers who go to Borehamwood on weekday mornings to help sort and pack donated clothing for adults and children, as well as stock from manufacturers, ready to deliver to refugees and those in desperate need in eastern Europe, Kurdistan and Israel? Pinner Parish Church hosts the lunch and KC volunteers help decorate the hall, drive the guests there and get them home, and assist in lots of ways. 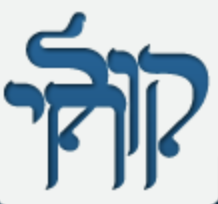 Kol Chai is a founder member, together with local synagogues, churches, mosques, schools and charities. The aim is to harness the collective power of citizens to influence decision makers and improve the quality of life for everyone living in Harrow.